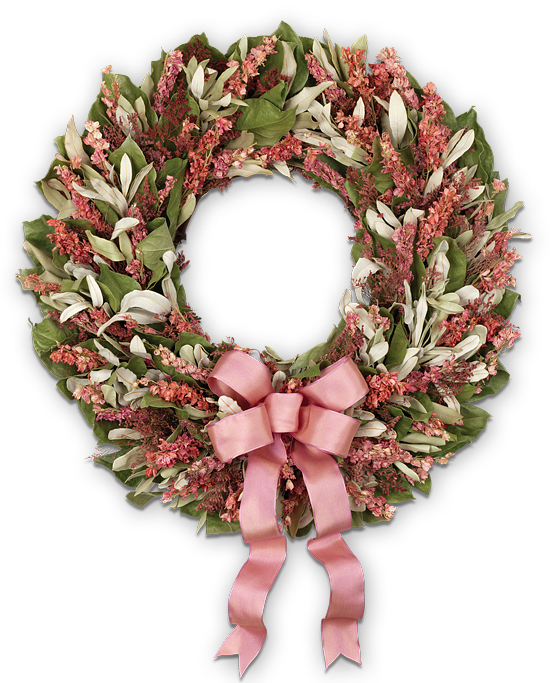 Classy and easy to match, this handcrafted preserved wreath delights mothers, grandmothers and wives with virtuous femininity. Fashioned on a natural twig base filled with lemon leaves, integrifolia, preserved pink larkspur and caspia, the unique gift is finished with a pink French-wire ribbon. You may wish to include our embossed wreath hanger.